A cool fact Google left out of its keynote and all promotional material is that both the Pixel 2and the Pixel 2 XL devices will include a discrete, custom silicon for image processing duties. 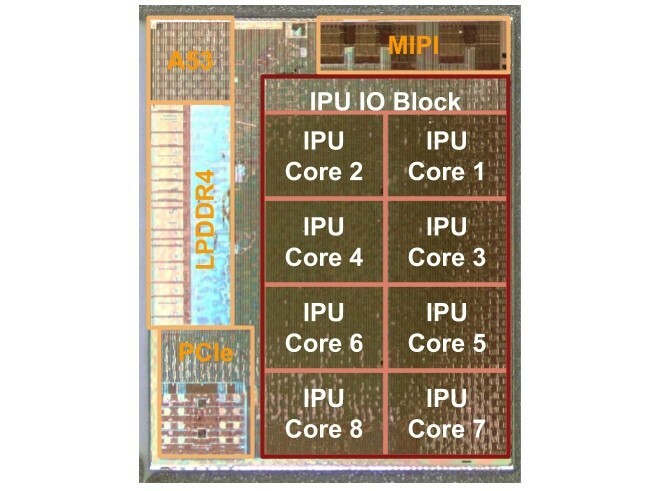 This little system-on-chip or SoC will operate independently of the main Qualcomm Snapdragon 835 chipset. It includes a single Cortex-A53 CPU core, eight Image Processing Unit or IPU cores and LPDDR4 memory, again, entirely separate from the main SoC and memory. According to Google, once enabled, this chip will expedite image processing by 5x while using 1/10th the power compared to the main CPU. The SoC is currently dormant and will be enabled by the upcoming Android 8.1 update.